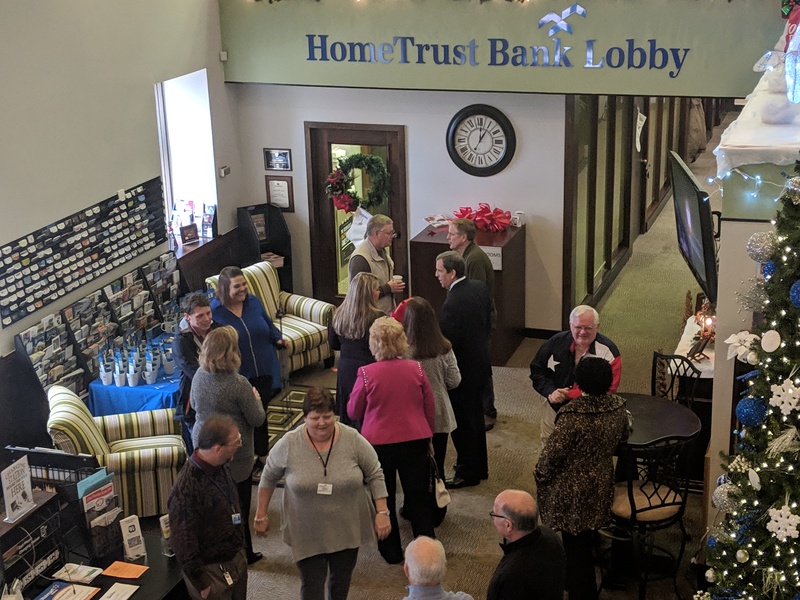 A Ribbon Cutting was held at the Reidsville Chamber of Commerce & Visitor Center on Tuesday, November 13th to celebrate the naming of our lobby, HomeTrust Bank Lobby. 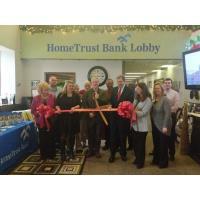 Mayor, Jay Donecker, cut the ribbon alongside Jonathan Jobe, Regional President of HomeTrust Bank. We also celebrated the opening of the SCORE Center located in the Visitor Center with a Ribbon Cutting. 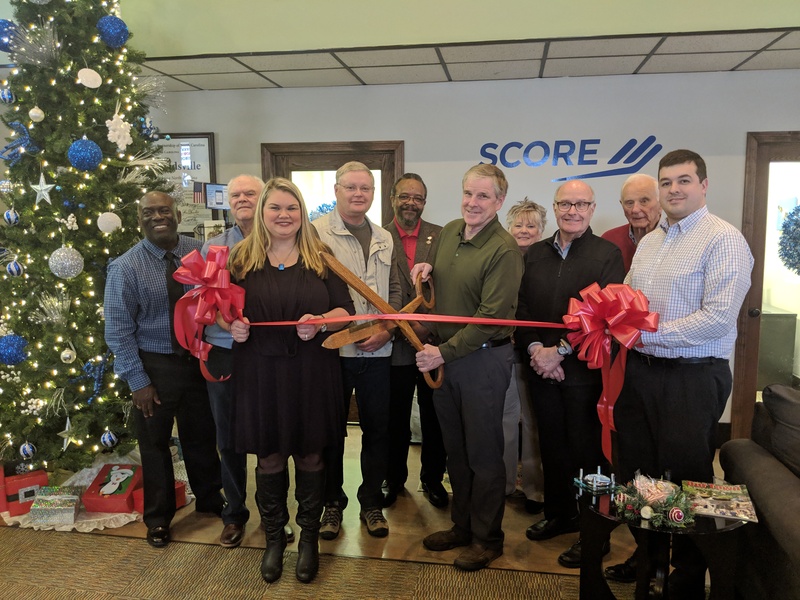 SCORE is a respected association of volunteer business executives providing FREE confidential, professional business advice to entrepreneurs and business owners and now it is conveniently located in your Visitor Center inside HomeTrust Bank lobby. Stop by and see us at 140 S. Scales Street! 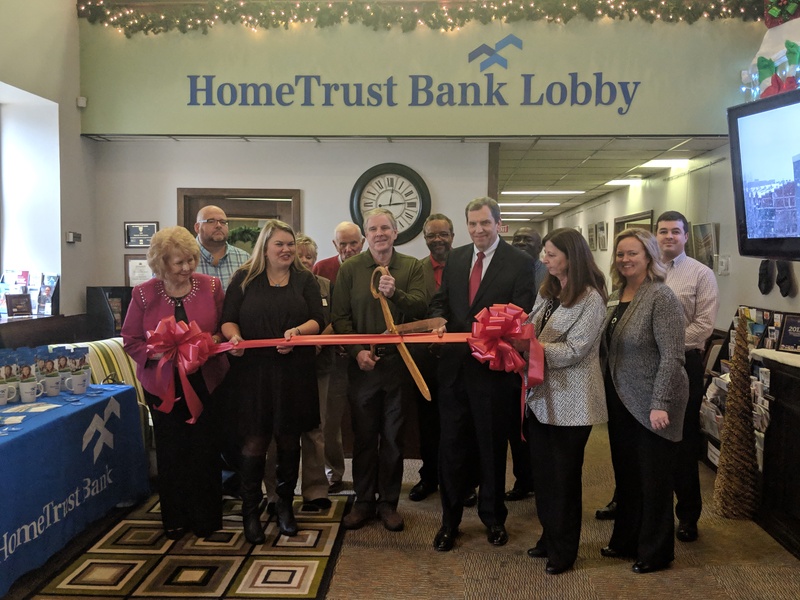 A HUGE thank you to HomeTrust Bank for their continued support!